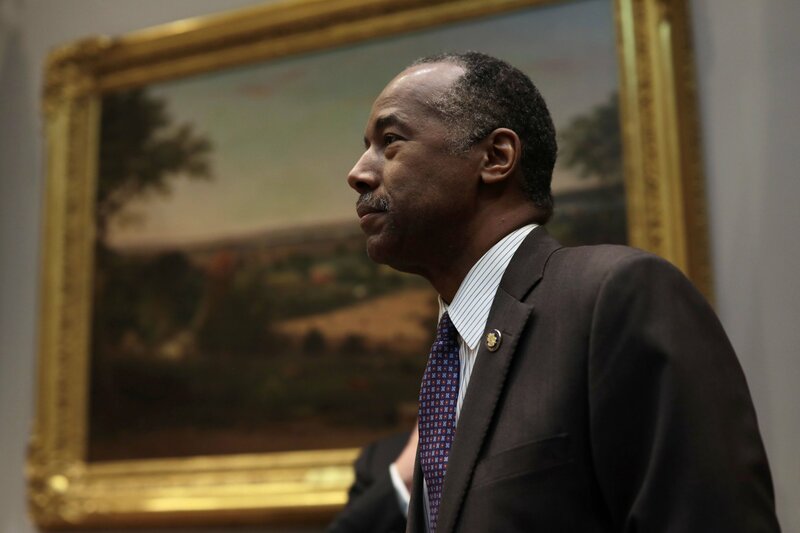 Ben Carson, the secretary of the Department of Housing and Urban Development (HUD), often took Fridays off or shortened his workday, sometimes leaving early to travel to his multimillion-dollar home in Florida, according to newly obtained schedules. Carson’s daily schedule from 2017, obtained through a lawsuit and provided to NBC News, shows that the Trump-appointed secretary only held senior staff meetings once a week and often had a limited Friday work schedule or left early to fly to his $4.3 million home in Palm Beach Gardens, in south Florida. The 8,700-square-foot house appears to be located next to a golf course. Over a 31-week period, Carson reportedly worked a traditional eight to nine-hour days about half of the Fridays. On five of them, he was off or had no appointments. He left before 2 p.m. for another five Fridays to fly to south Florida. Another six Fridays had no scheduled appointments past 3 p.m.
Of the 31 weeks between April 7 and November 1, 2017, NBC reported, Carson made a dozen weekend trips to his Florida home. He flew commercial and on his own dime, according to the documents. Three work calendars were obtained by the government watchdog group American Oversight, which provided them to NBC after suing HUD for failing to comply with a Freedom of Information Act request. Carson also had lunch with an author of Chicken Soup for the Soul and the founder of My Pillow, according to his calendars. “While I can’t say whether the jumbled calendar was the result of innocent processing system or an effort to obscure information, the net result was that this is some of the most challenging transparency we have encountered,” Evers told NBC.